Sometimes the best exhibitions and tours are the ones that fire your imagination. The Glasgow Central Station underground tour isn’t a Burrell Collection. There’s no pretty artefacts, tapestries or sculptures to admire, but it’s no less fascinating. What it is, is a reflection and appreciation of one of Glasgow’s many faces, and its past. Like most industrial cities, it’s a bit dark and gritty. It might all be going on upstairs, but downstairs on the Central Station Tour we’re being entertained by Paul Lyons, our tour guide. He actually looks and sounds like he’s been spirited in from another era. He’s a classic Scottish storyteller, an art that some people naturally possess – and he has it, in steam engine powered shovel-fulls. The tours were his idea, and he fought long and hard to bring them to life. He had to persuade a lot of people, and you get the feeling that he doesn’t give up easily. 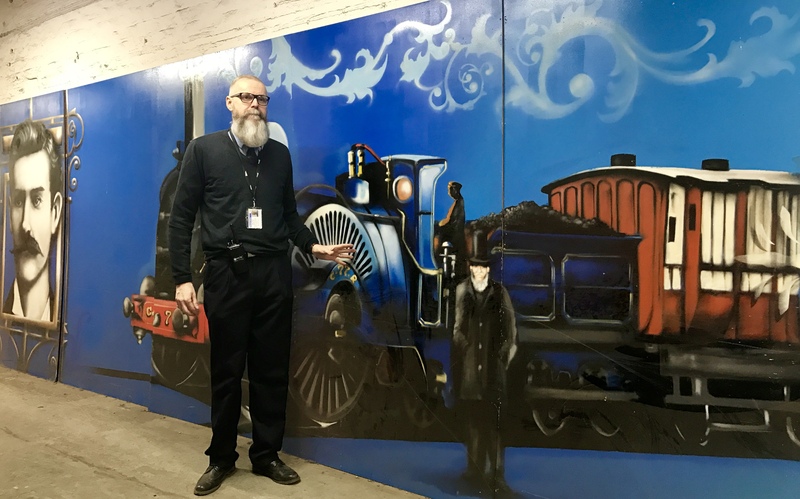 The powers that be were eventually persuaded when Glasgow Central Tours took part in one of the Doors Open Days – when traditionally closed off buildings and premises open their doors to the public for a weekend. 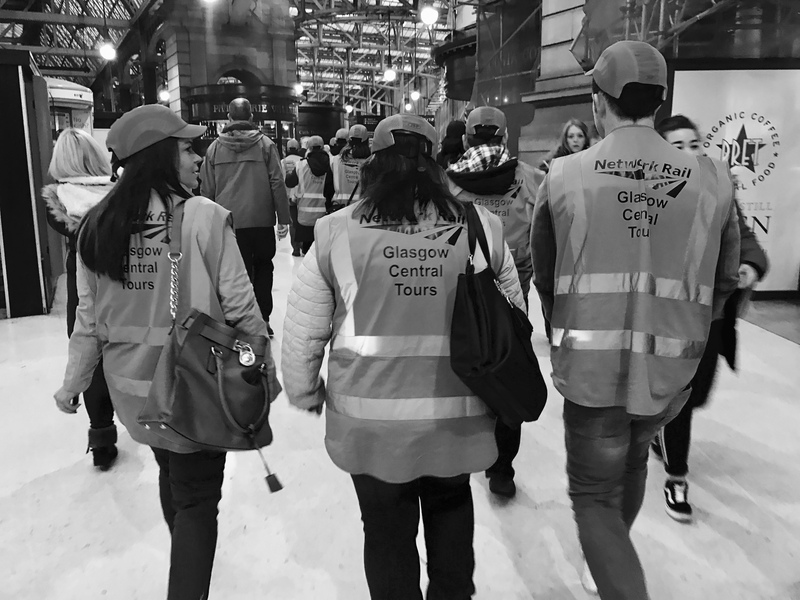 The Glasgow Central Tours received 83,500 requests for 100 free places. It was proof that people wanted to get underneath the station and feel its history. And it’s a history that is fascinating and tragic. 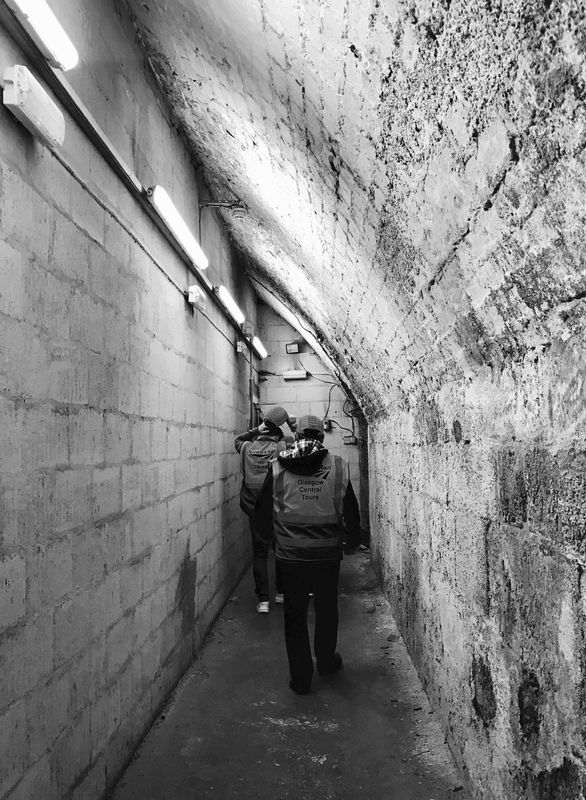 Bring your imagination and you can feel the chill at a certain point on the tour, where Paul tells us it’s where the dead bodies of young men, lost in WW1, were brought and laid down. And he pays homage to the women – the wives, mothers, sisters, girlfriends, grandmothers, who would come to identify them. It brings a lump to your throat as you imagine the heartbreaking scene and then the struggle that ensued as those women were made responsible for bringing their loved ones up the stairs and out of the station. Paul found some of the original stretchers that some of the bodies would have been laid on. 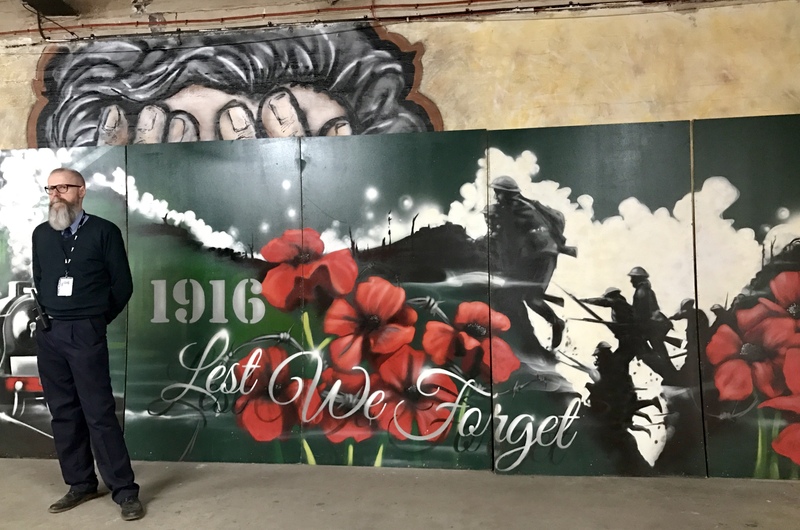 He is also planning a First World War memorial to the women of Glasgow, including a brass plaque and a poem in Scots. 34 million people pass through Central Station every year and they are using more than 1,000 trains a day. The station was built on what was the old village of Grahamston, the vast majority of this village was demolished when Glasgow Central Station was built. Paul is also continually collecting stories from people who he takes around the tour. These stories, at risk of being lost forever, are now being kept alive. The final section of the tour is fascinating as you stand on an old abandoned platform, with huge pillars and tiled walls. There’s an eerie feeling as you gaze into the quiet darkness. Paul is currently clearing this section of the station and he’s constantly discovering discarded artefacts such as a telegram from 1919, a pack of Kensitas cigarettes from 1928, and newspapers from the 1940s. There are also plans to develop this section of the tour and to recreate what this platform would have looked like. Proposed inclusions include an old kiosk, bookstall, shop fronts, old-fashioned vending machines and gas-effect lighting. The money generated from the Central Station Tours, (which have attracted around 29,000 visitors), will go towards this restoration. This is a fascinating piece of hidden history, which is literally right underneath your feet. It deserves to be supported and it’s history wonderfully retold. Listen to the stories, close your eyes, and let your imagination take over.